The Appalachian Trail (AT) runs approximately 2,200 miles from Georgia to Maine. Of those 2,200 miles, about 41 miles run through the state of Maryland. This 41-mile Maryland stretch is generally considered easy by AT standards due to its relative lack of altitude gain and loss. In fact, some incredibly quick thru-hikers have been known to complete this section in a day. However, despite the flatness and relative ease of the MD portion of the AT, I discovered a short section of trail that brings both steep switchbacks and great views. 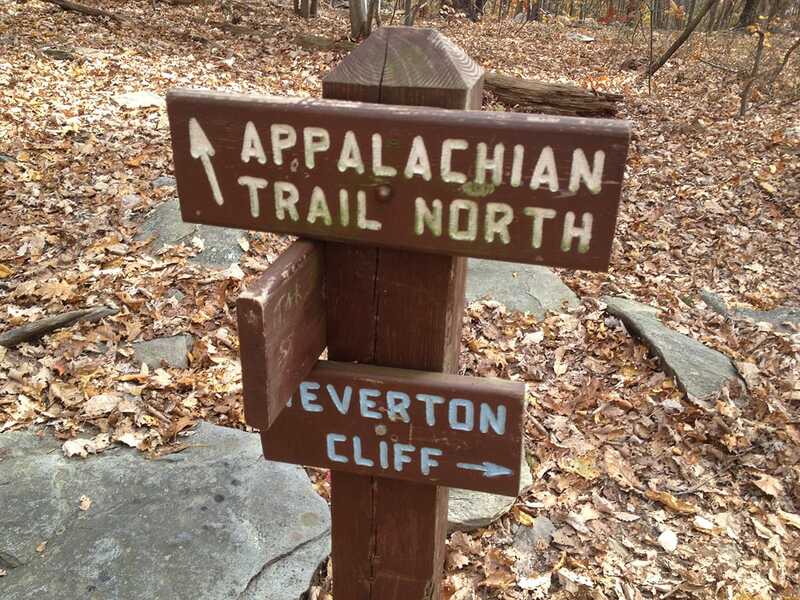 The Weverton Cliff trail begins near Harpers Ferry, WV, and right near the border of West Virginia and Maryland, that could turn out to be perhaps one of the best spots on the AT in Maryland: Weverton Cliff. I’ll follow up on that “best” claim in subsequent trip reports. 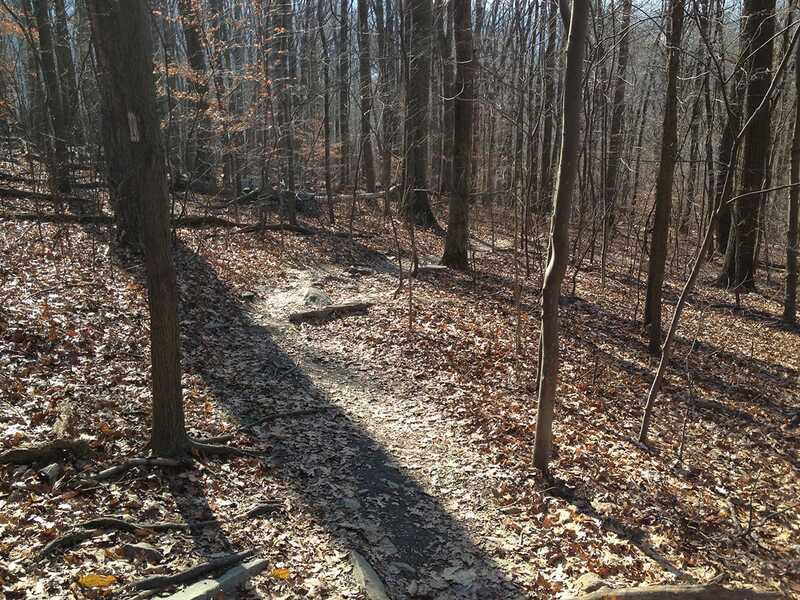 Starting at a trailhead in Knoxville, MD, join the Appalachian Trail heading north and cross Weaverton Rd. Once across the road, the nicely maintained trail starts to climb steadily with some rocky switchbacks. Follow the switchbacks until you reach a sign pointing the way to the cliffs or to continue n the AT. Turn right at this sign and head down the larger boulders to Weaverton Cliff. 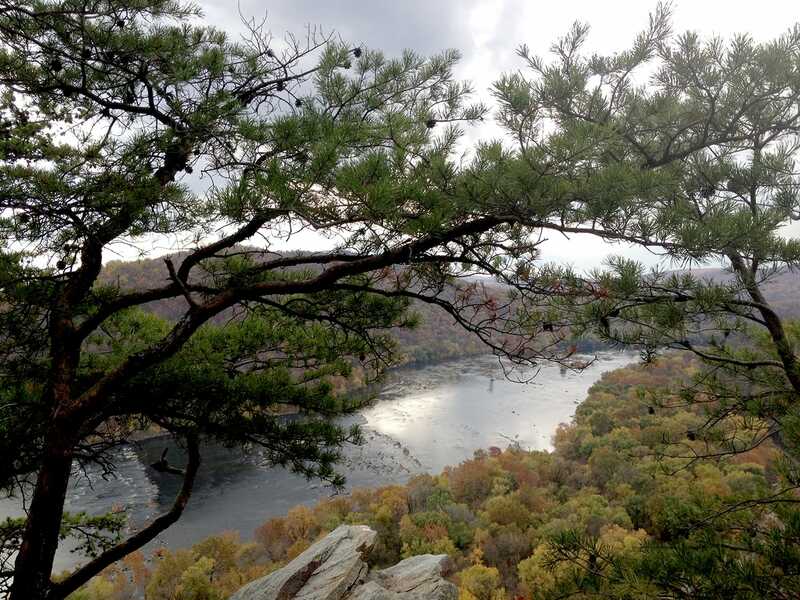 Once you have arrived at Weverton Cliff, you’ll be rewarded of tremendous views of the Potomac River and surrounding Harpers Ferry region. On this trip the fall colors only added to the quality of views. 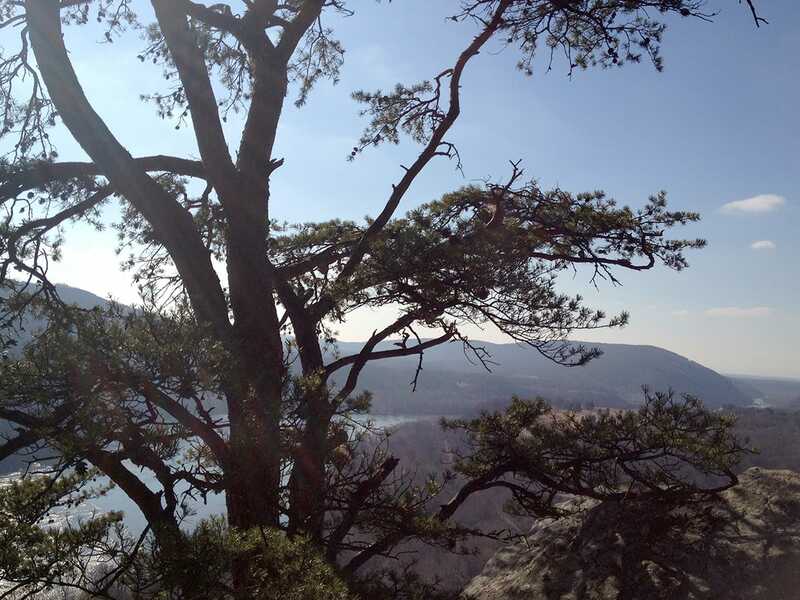 Despite its relative steepness compare to other Maryland sections of the AT, this is a family-friendly hike that also offers the nice reward of panoramic views at its high point. I’ve seen some information online referring to this section as “Weaverton” Cliff instead of “Weverton,” but have no fear, I’m on the case! I think I have solved that mystery with my snapshot of the AT sign on the trail (see photos below). You will now undoubtedly sleep better tonight. There is a 9-mile variation of this trail that beings over the border in Harpers Ferry, takes you across the Potomac River and into Maryland, and finally up the steeper switchbacks to Weverton Cliff. I’ll head back and complete that roundtrip and follow up with a short trip report.